The Bocuse d’Or can be considered as the most prestigious international gastronomic competition in the world. 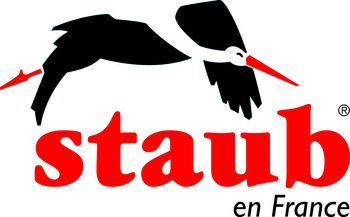 STAUB has been a part of this unique event since 1998 and – even more importantly – is often the first choice among chefs. The great success of STAUB is partly based on having worked together with the best international chefs since the very beginning. Our products are and continue to be developed together with experienced chefs for professionals. That’s why our products meet the highest demands of excellent cooking results, long durability (thanks to premium-quality materials and excellent craftsmanship), functional and stylishly executed design. The unique advantages of STAUB cookware place it among the preferred cast iron equipment for high-end gastronomy. This makes it the first choice among the world’s best chefs: almost half of the Michelin star chefs in France work with STAUB, in Japan more than 75%. Even in French embassies, including Washington, Tokyo, Peking, Berlin and many others, the great tradition of “cuisine française” is, of course, nurtured in with STAUB. The entire world of good taste is at home in this cast iron cocotte. Bocuse d'Or Winners is the association which gathers all chefs who have won gold, silver or bronze at Bocuse d'Or competition.